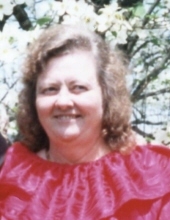 Virginia Britton White, 77, of Rogersville passed away Tuesday, April 2nd, 2019 at her residence. She was a wife, mother, grandmother and great-grandmother. She dearly loved her family. She loved to go with her husband on the eighteen wheeler; driving and help making a living. Visitation for Mrs. White will be Friday, April 5th from 11 – 1, at Rogersville Funeral Home, with funeral service immediately following. Burial will be in Harvey Cemetery with Mitch McCormick officiating. Pallbearers will be Michael Haraway, Jeremy White, John Rosser, Jackie Rosser, Matt White, Bobby White III, Daniel Hollandsworth, Nick White and Daniel “Boone” White; honorary, Elton Romine. She is preceded in death by her husband of 61 years, Bobby White, Sr.; her parents, Frank and Bessie Britton; sister, Marie (Harvard) Romine; and brother, Leamon Britton. She is survived by her children, Bobby (Linda) White, Jr., Paul (Diane) White, Susan White Blackburn, Sandra White, Jim White; sister, Faye (John) Chandler; brother, Stanley (Wynell) Britton; sister-in-law, Deenie Britton; 11 grandchildren; 21 great-grandchildren and numerous nieces and nephews. To plant a tree in memory of Virginia Britton White, please visit our Tribute Store. "Email Address" would like to share the life celebration of Virginia Britton White. Click on the "link" to go to share a favorite memory or leave a condolence message for the family.